Bethel: Call for hrs, 207-824-2227. Rumford: 8am-5pm Mon-Fri. 8am-12pm, Saturdays during the winter. We offer comprehensive eye care including medical evaluation and treatment of eye problems, including eye exams, eyeglasses, and contact lenses. 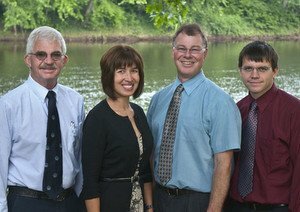 Mountain View EyeCare is the optometric office of Dr. Peter Everett, Dr. Linda Cameron, Dr. William Keyes, Dr. Sarah Ellis; and Dr. Lennie Shaw (Bethel office only). Also, you may drop off used glasses at either office for the Lions Club to pick up and distribute.